With the increasing fashion awareness among males too, now men are becoming aware of their body. Although the fraction of men’s grooming constitutes only 11% out of the global market. But this sector is growing with a high speed. Now – a-days modern man is aware about how he looks. With the increasing number of metrosexual males, now different big names have started production of male grooming products. This filed has high potential for growth. Although getting inclined to personal beauty, males don’t like to undergo such procedures that are complex as well as time consuming. Basically dealing with facial hair, men want such grooming products that are easy to use and don’t need much maintenance. You can take the example of Braun electric razors. 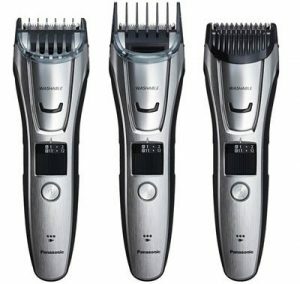 According to Instant Grooming reviews, these shavers are really easy to use and more likely do not need much maintenance. With these requirements every beauty company is working hard on combining innovation with latest technology, providing less maintenance and smooth operation. Out of many grooming products most of them can be further categorized into electric shaver, trimmer and styler. After every use you should never forget to wash your electronic razor as if it gets stuffed with hairs then it will decrease the efficiency of electronic razor and will put pressure on it while working. Unlike every machine your electronic shavers too requires timely maintenance and repair. There are specialized lubricants and degreasers available in the market that is specifically designed for electronic shavers. They provide lubrication to it while increasing its efficiency. Being continuously in use, the cord and battery are the main functioning parts of the razor. Electronic components run on electricity and that’s why the main electronic components should be regularly maintained. With prolonged use electronic shaver can face wear and tear. Just like every razor electronic shaver too needs its blades to be replaced on a timely manner. As recommended by company kindly change the blades for proper efficient working otherwise you will just waste your time and electricity. Neither you will get smooth and clean shave but also it will leave you with irritated skin. Always maintain and keep your warranty card intact, although it might take little time of yours. But in the long run, it will save you from hassle and problems. In the case your equipment breaks down within the warranty period then you can send it back to the company. They will fix your machine either by replacing its components or will replace it. Thus you can save those extra bucks on repair or replacement. Within time duration of one year kindly replace its foils and cutter. While washing your electronic razor firstly remove the shaving head and remove the beard or hair in to a bin by tapping it. After every shave never forget to remove the hairs. Most of the shavers that come today are tap washable and can be washed with running tap water and with the help of alcohol based or soap solution you can increase the life of your razor jus by spending few minutes. But always make sure that your shaver is unplugged and do not spoil the foil while washing with water and soap. When you need to heavy use any grooming machine like electric head shaving razor washing is must. Otherwise you will never be able to use that machine afterwards. You will face immense problems like jamming, noise etc. So it is always better to keep the product in tiptop manner. Remington electric razors are tend to jam frequently, but with regular washing and cleaning you can keep all the razors in tidy condition. Electronic shavers and trimmers also come with its accessories like cleaning brush, cleaning spray. With the help of brush you can remove the rest of the hair or you can remove the hairs even in dry condition, as its narrow shape will help to remove any hair between the small spaces. Every time after use kindly dry it completely before next use. You can use cleaning spray not only to clean the blades but it also provides lubrication and will degrease the blades. Thus, you will get a clean and smooth shave next time you shave.